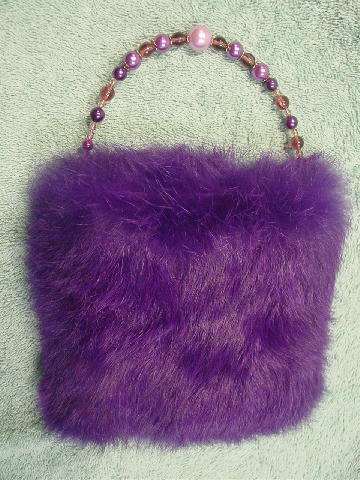 This purple-violet color vintage rabbit fur evening handbag is by Leah Aiken. It has a light purple fabric lining with a 2" wide light red-wine strip of faux snakeskin above the fabric to the upper edge with a magnetic snap inner closure. 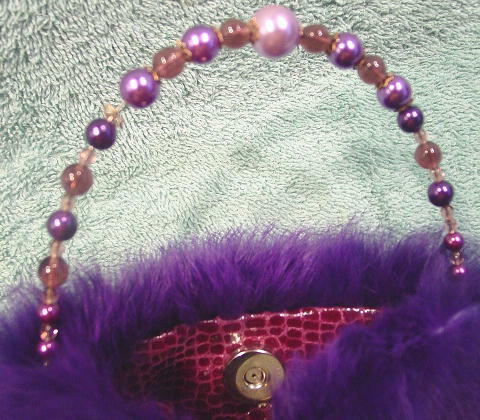 There is an 8 3/4" long wire handle (2 1/2" drop) with various size beads in several shades of purple.